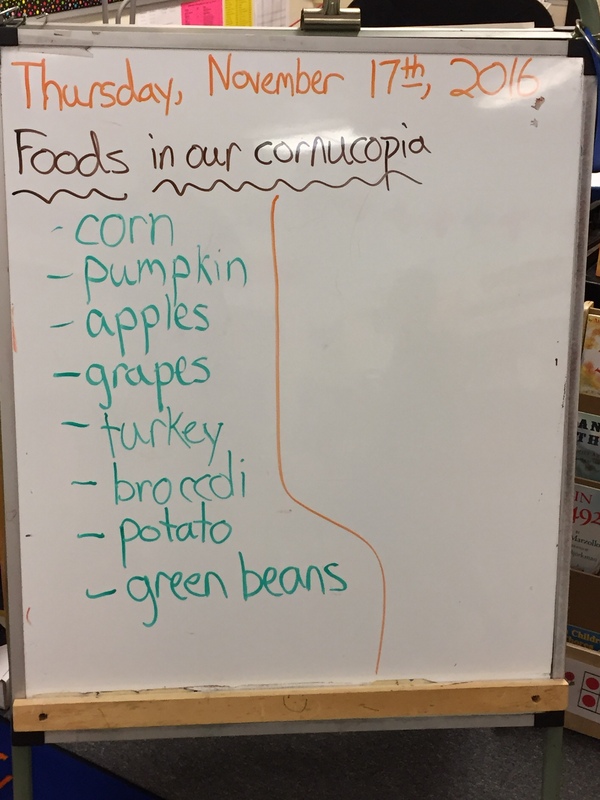 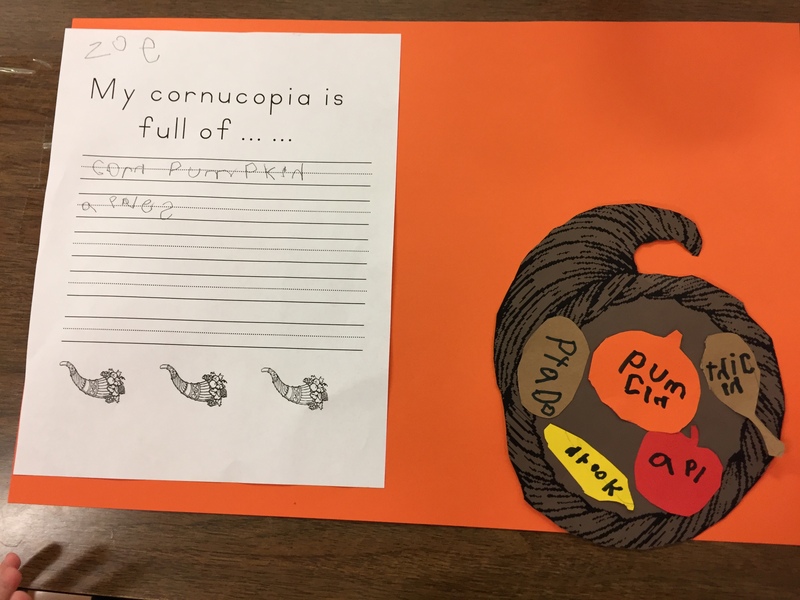 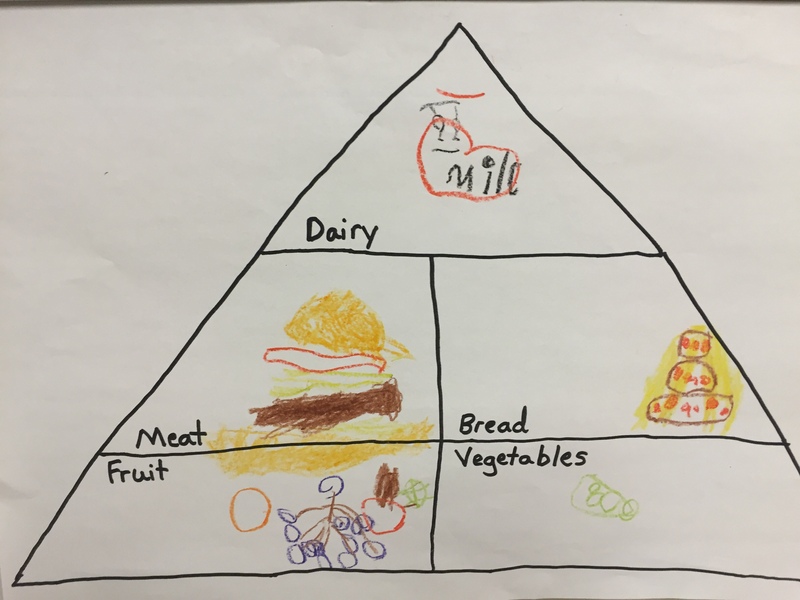 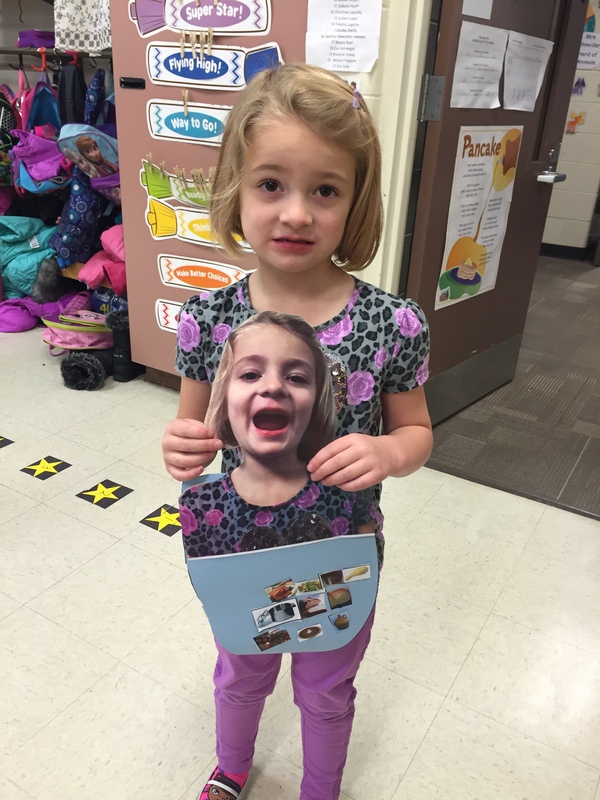 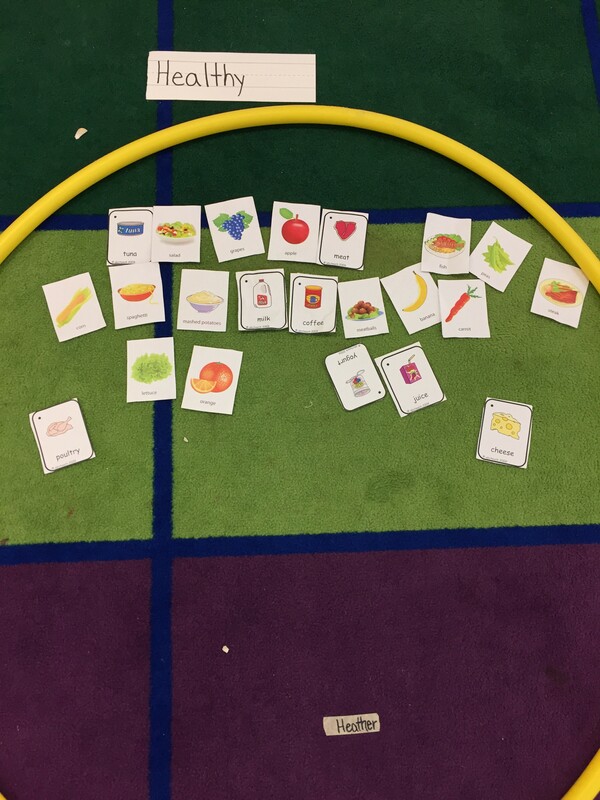 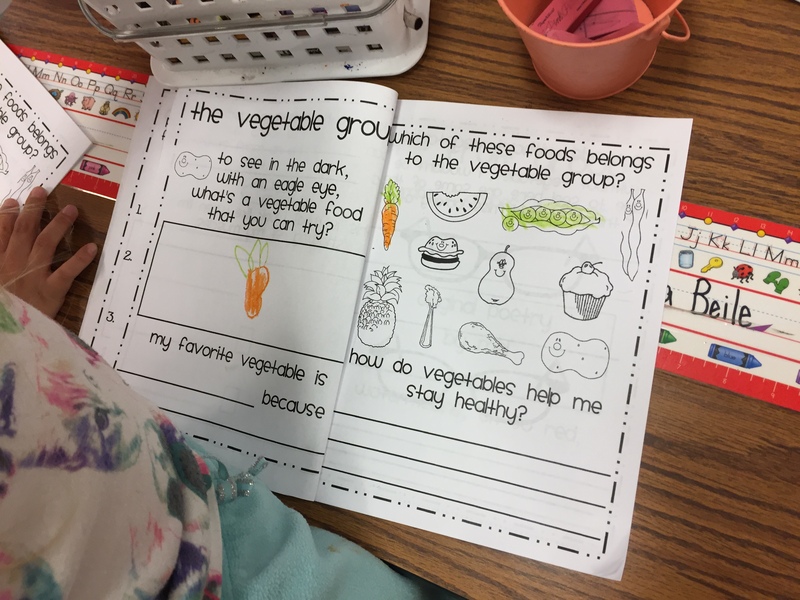 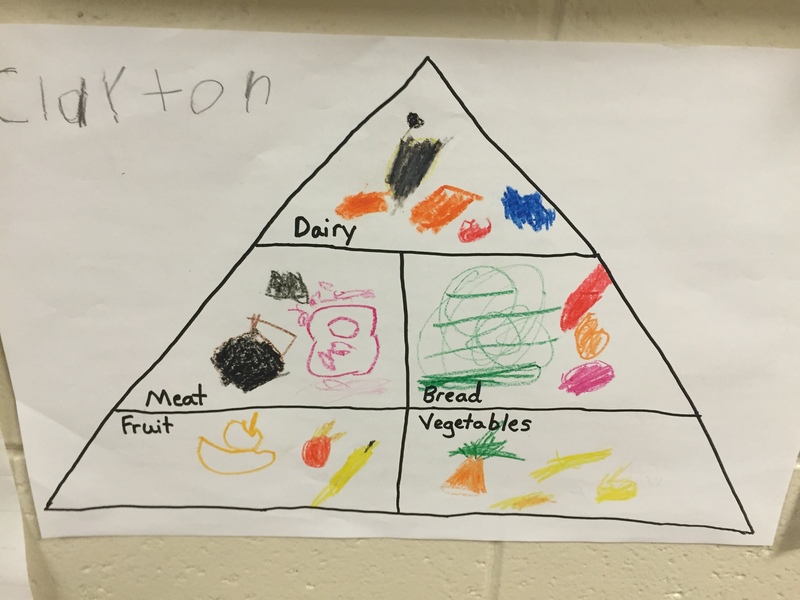 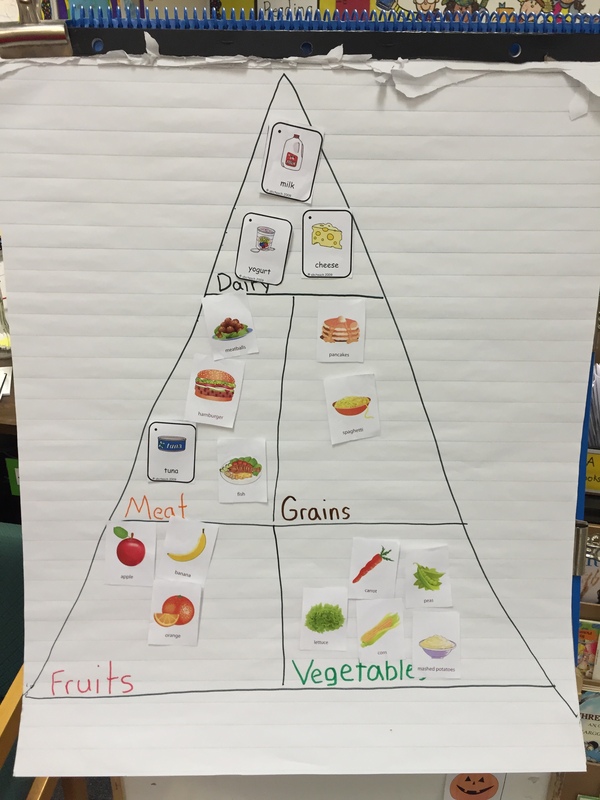 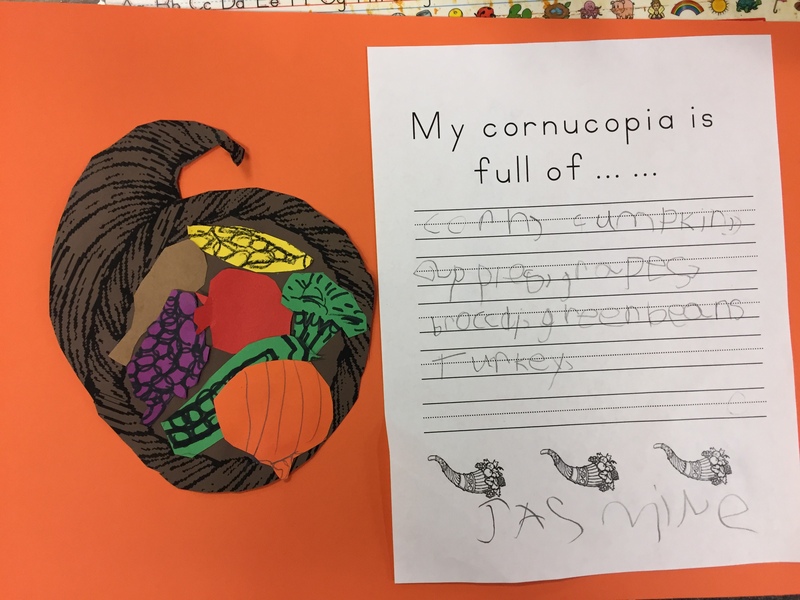 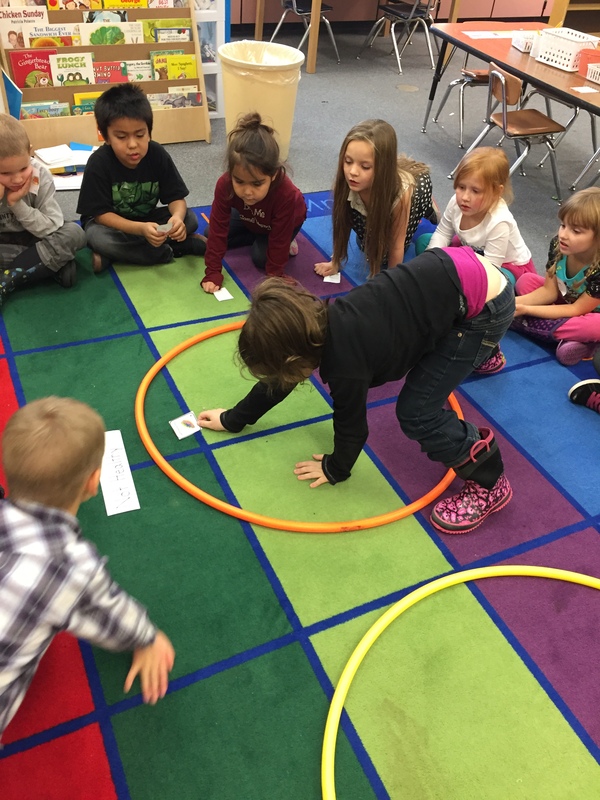 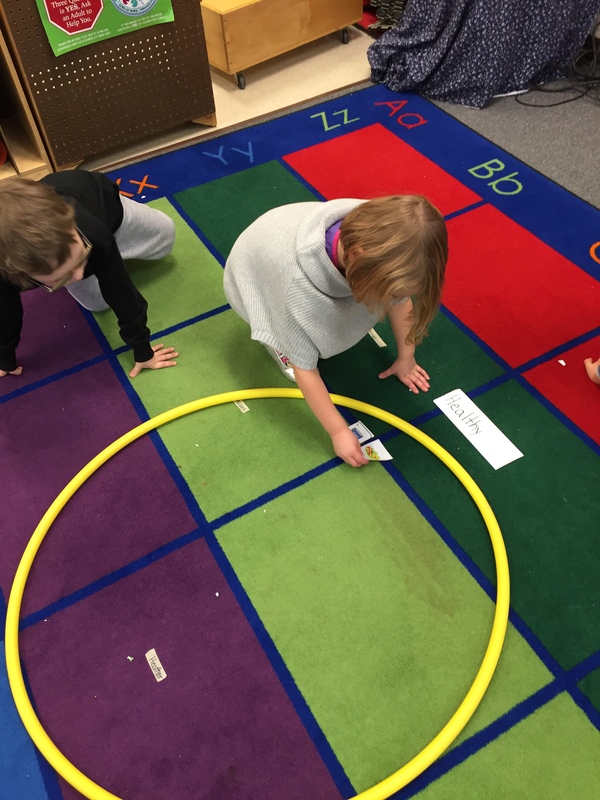 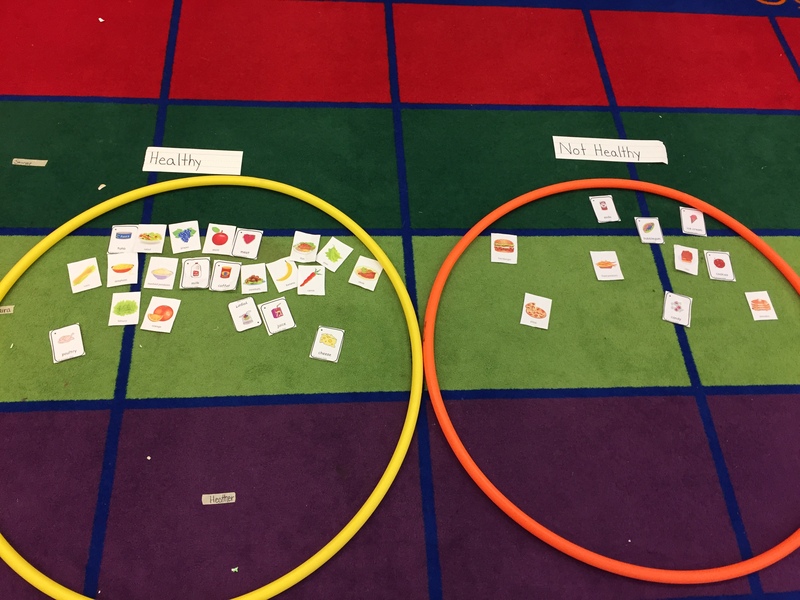 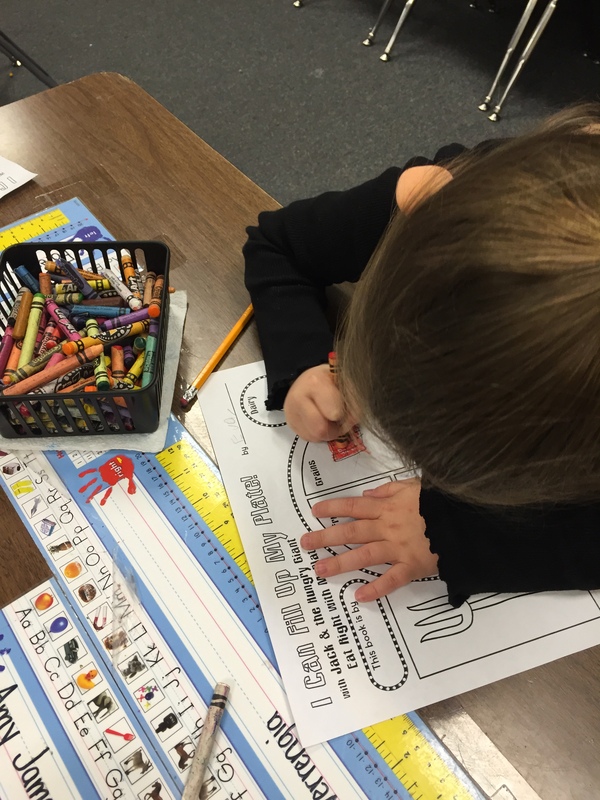 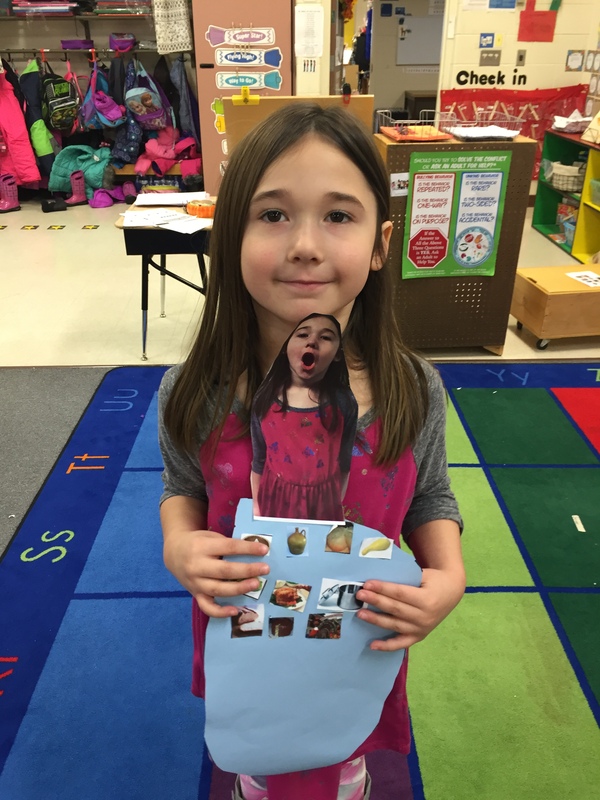 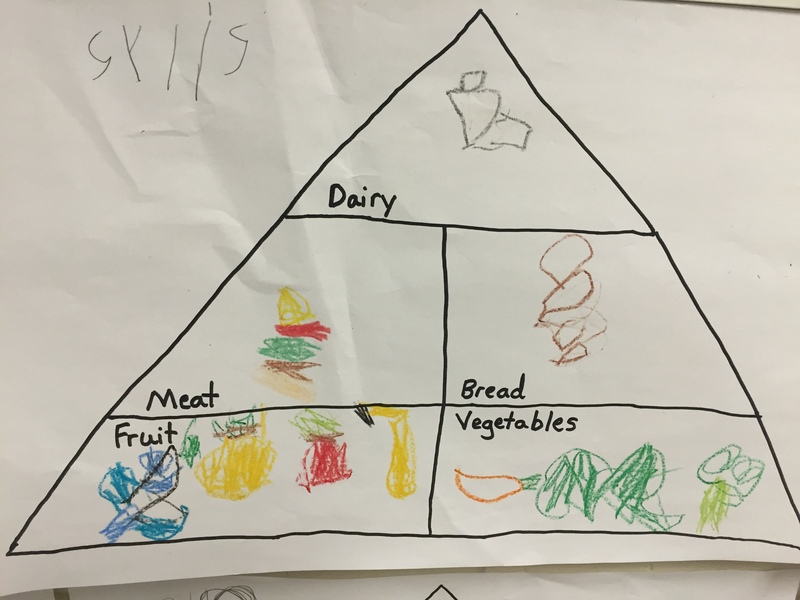 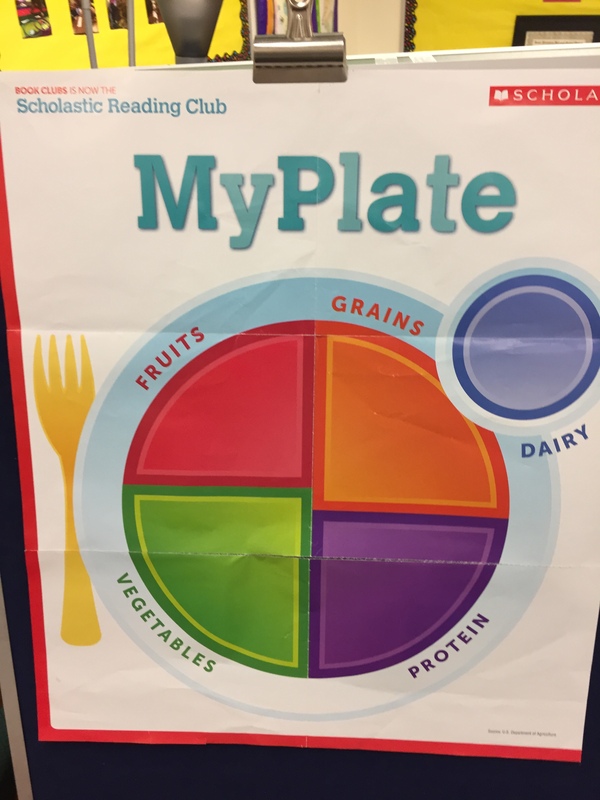 This week are learning about nutrition, healthy foods, and food groups. 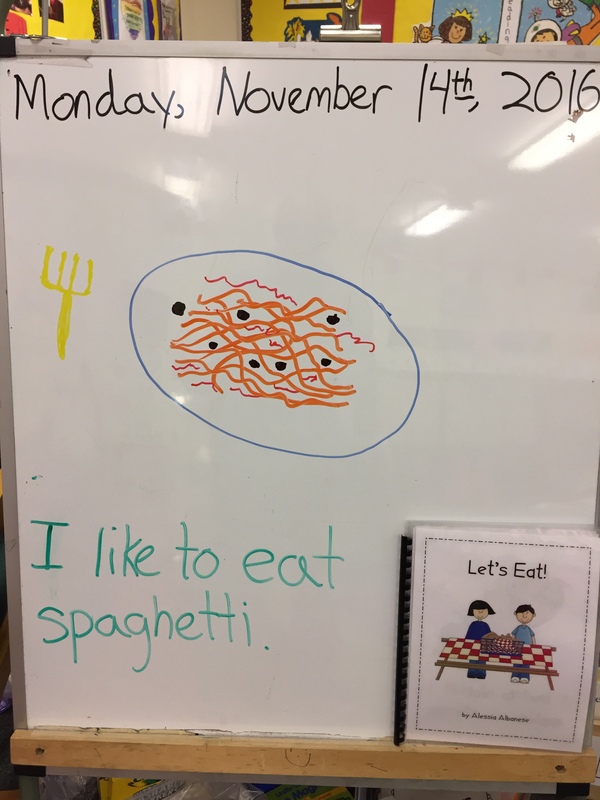 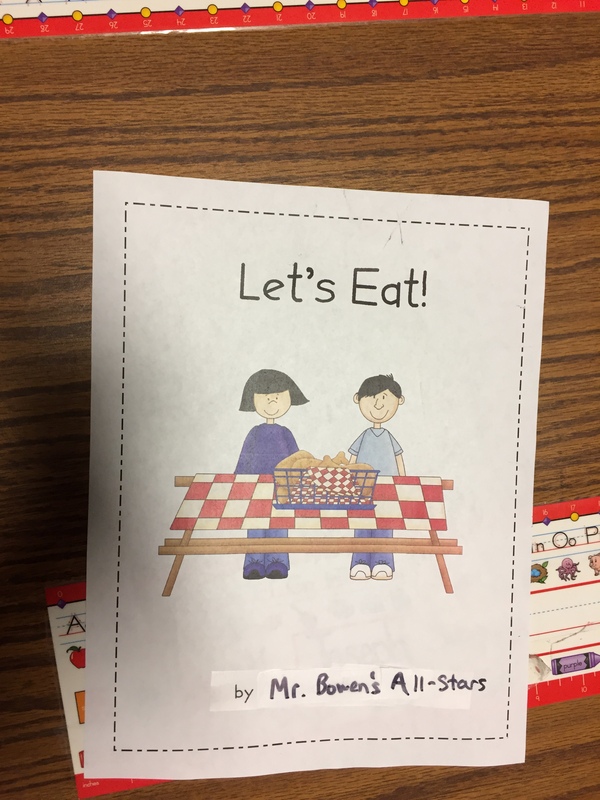 On Monday we read the emergent reader book called Let’s Eat. 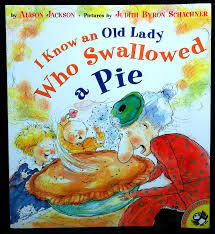 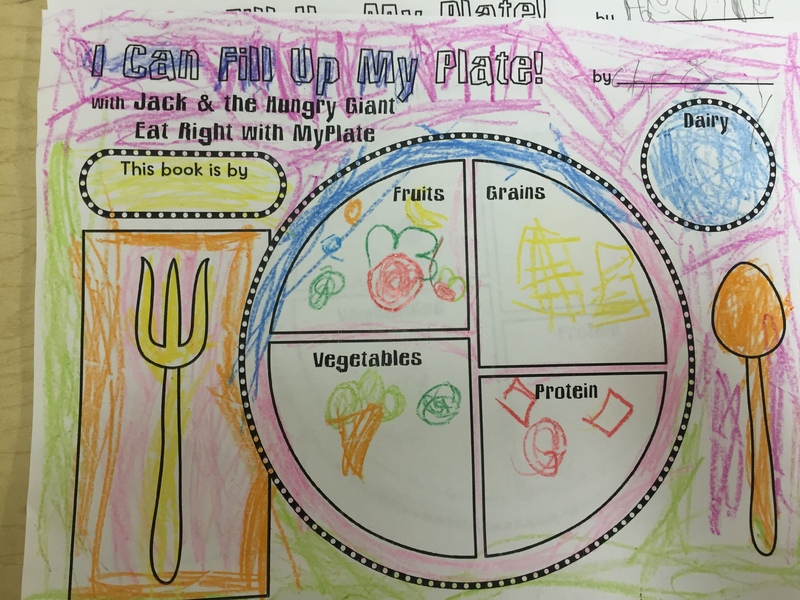 In this book the author talks about the food she likes to eat, most of them healthy. 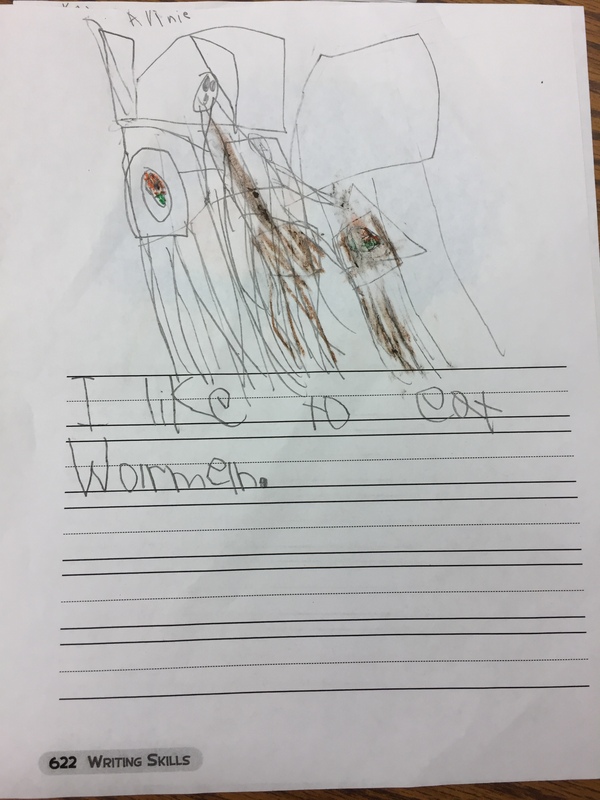 In the end the author says she likes to eat chocolate but not a lot. 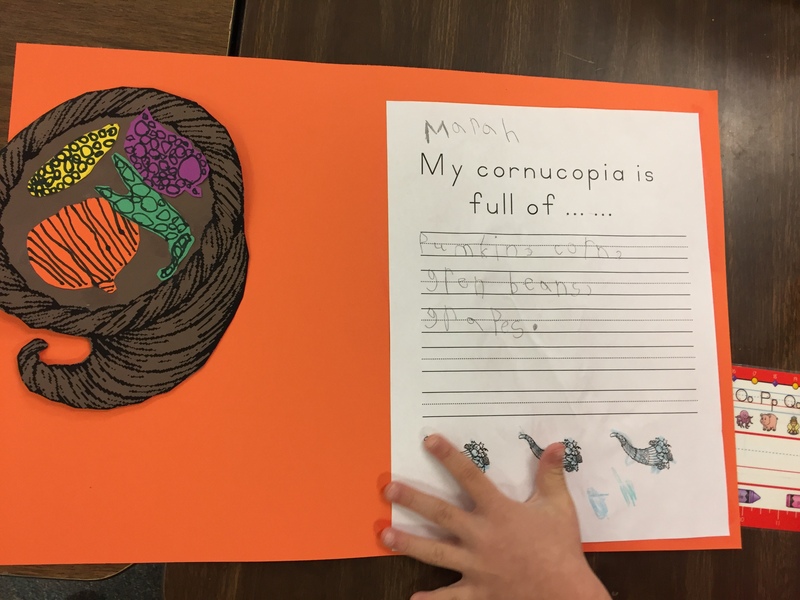 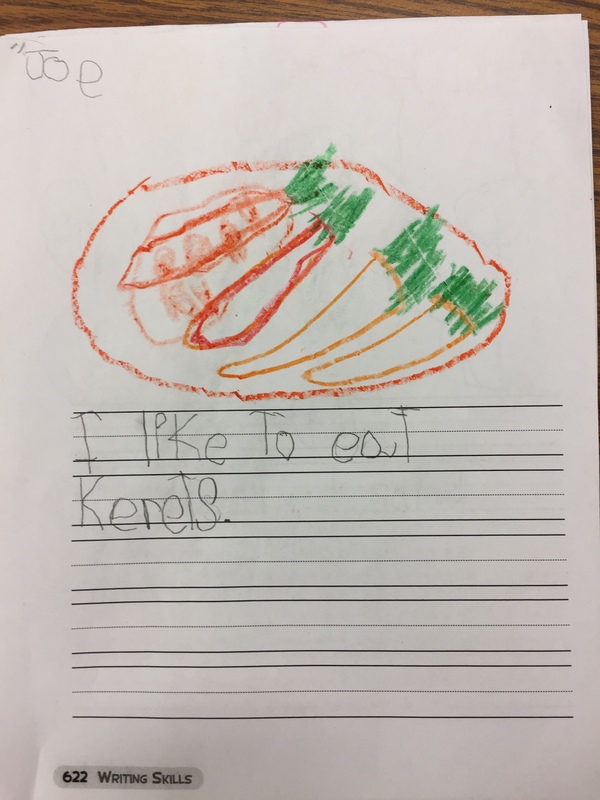 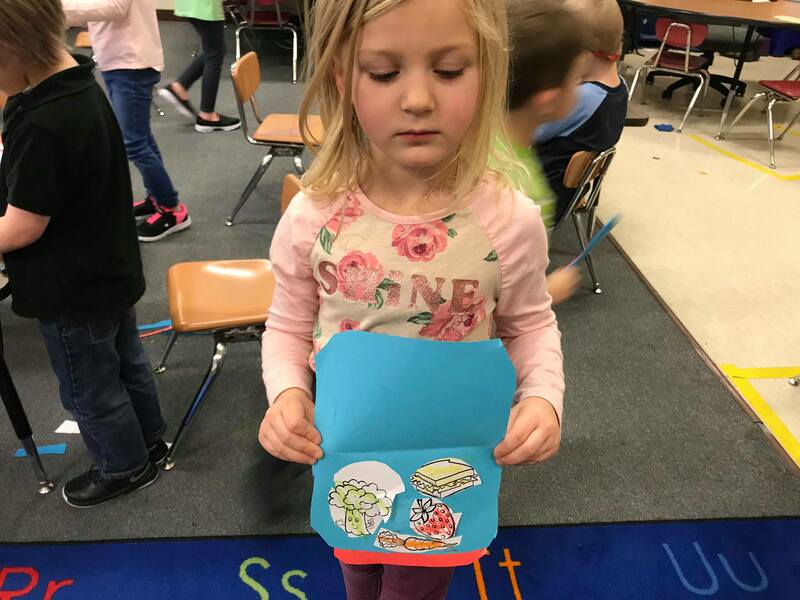 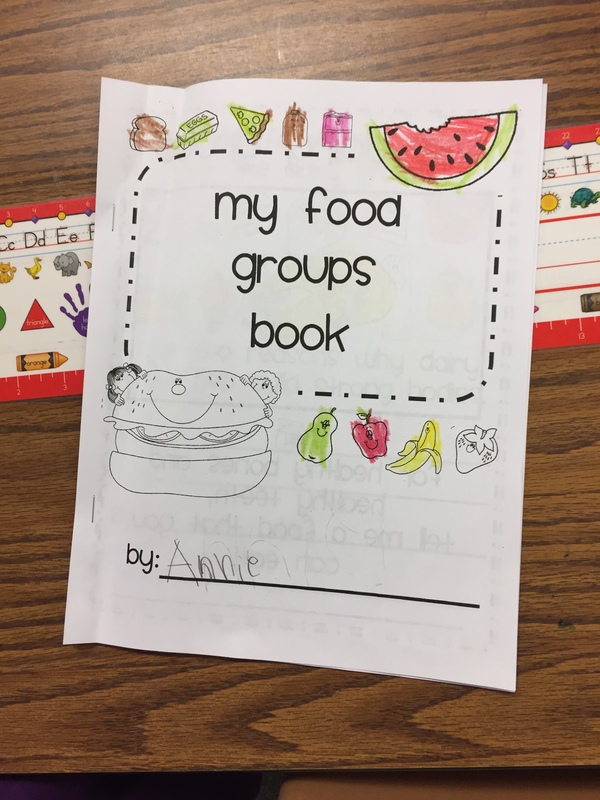 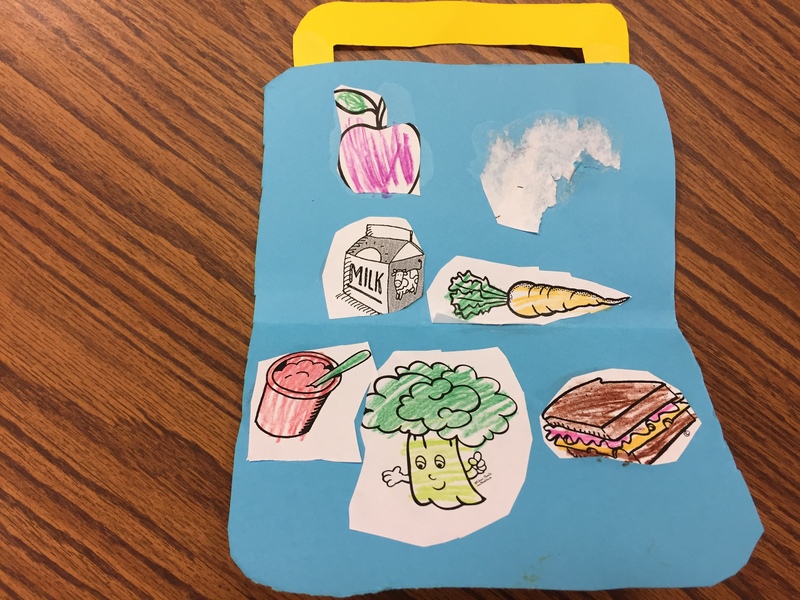 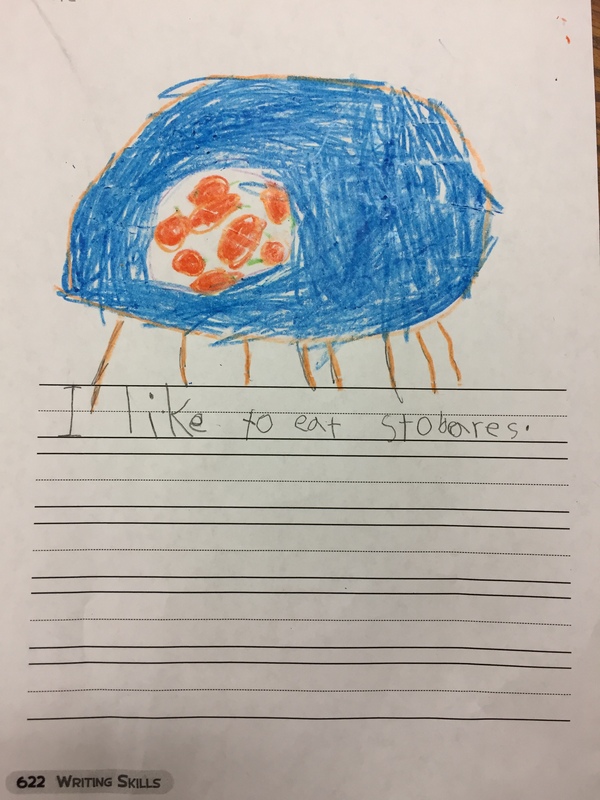 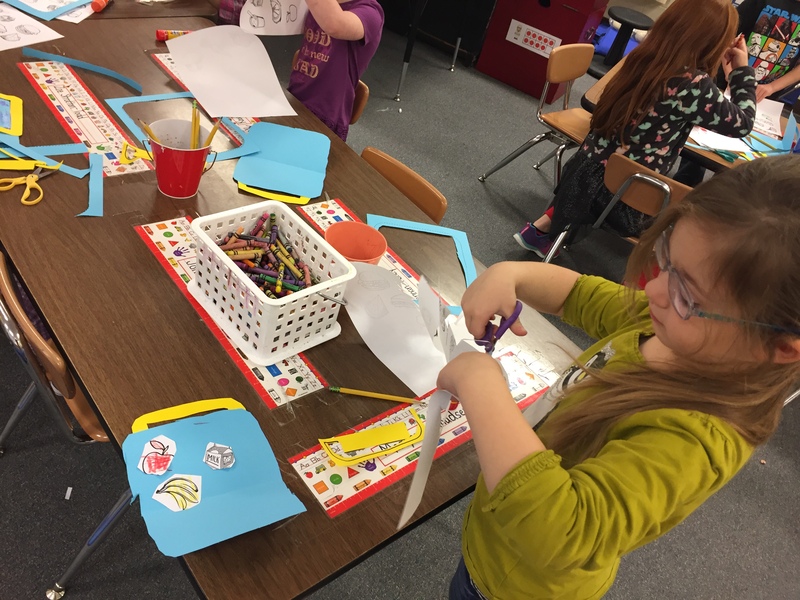 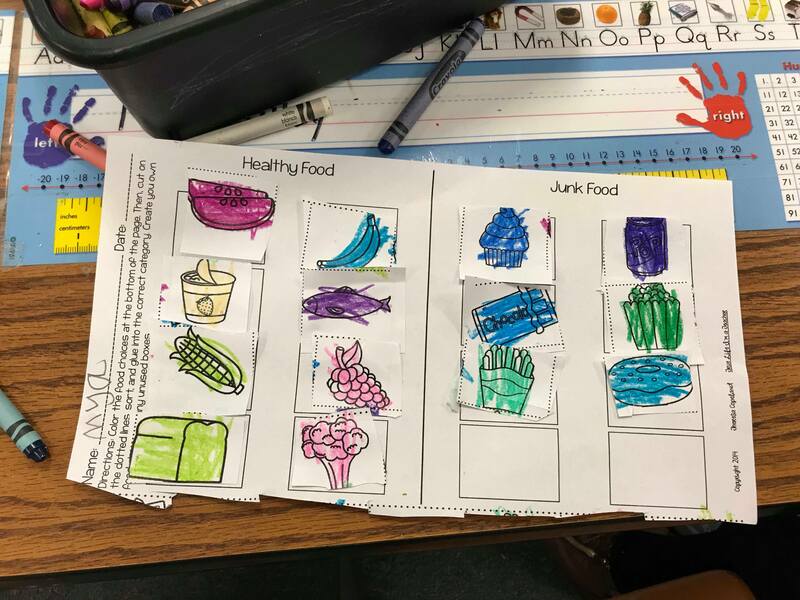 We made a list of healthy foods as a class and then made our own class book called Let’s Eat. 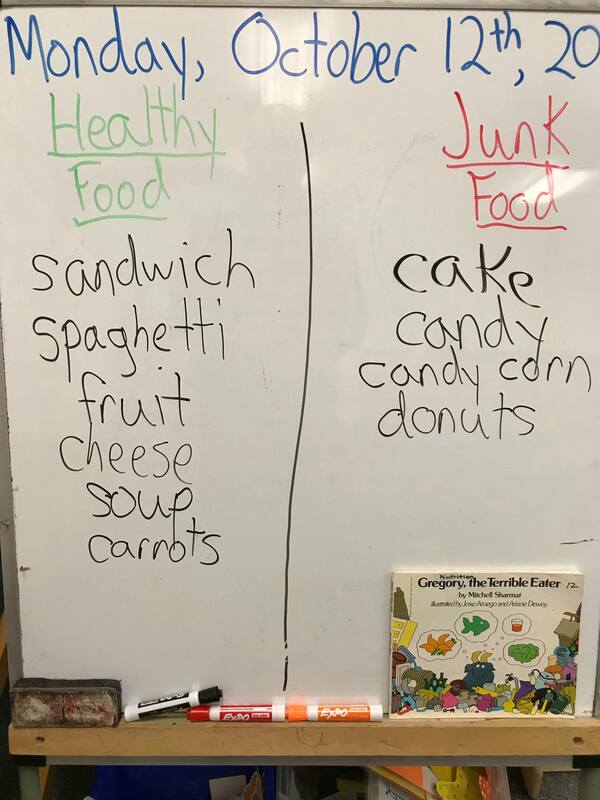 For science we learned about the five food groups and watched a nutrition video for kids about having a well rounded diet. 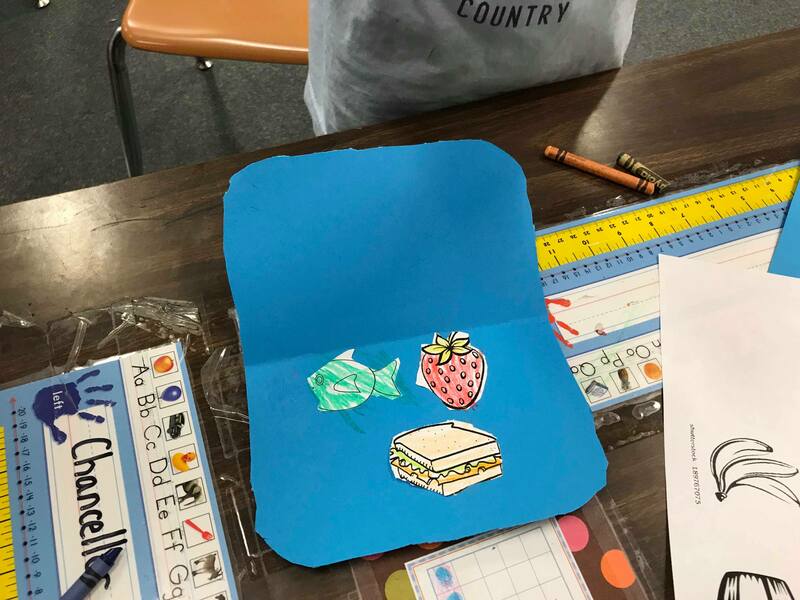 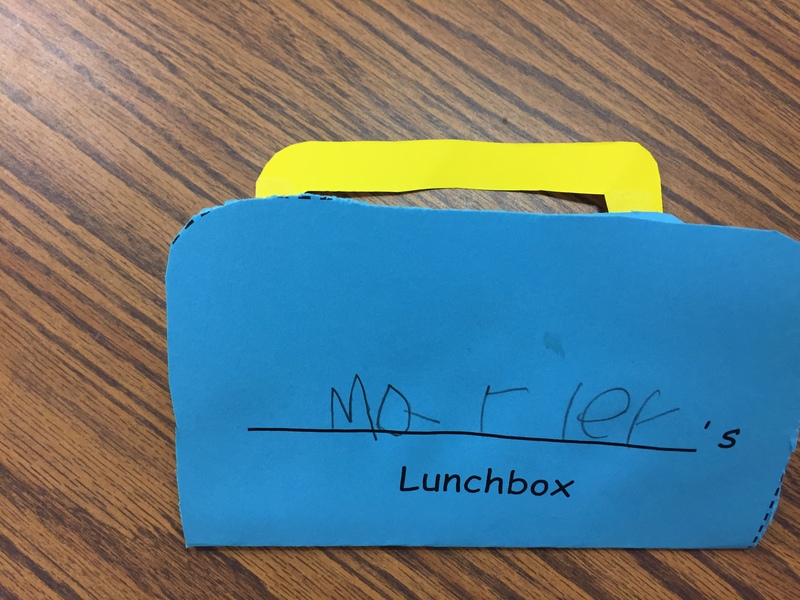 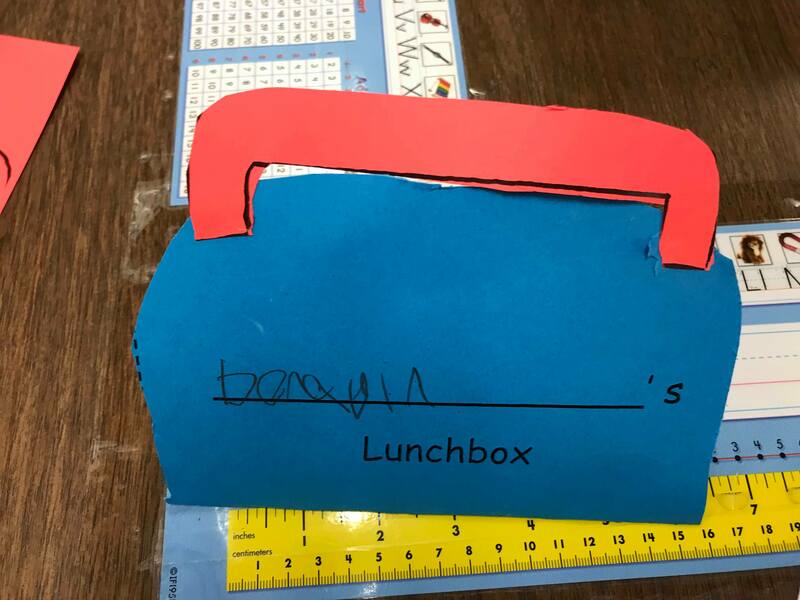 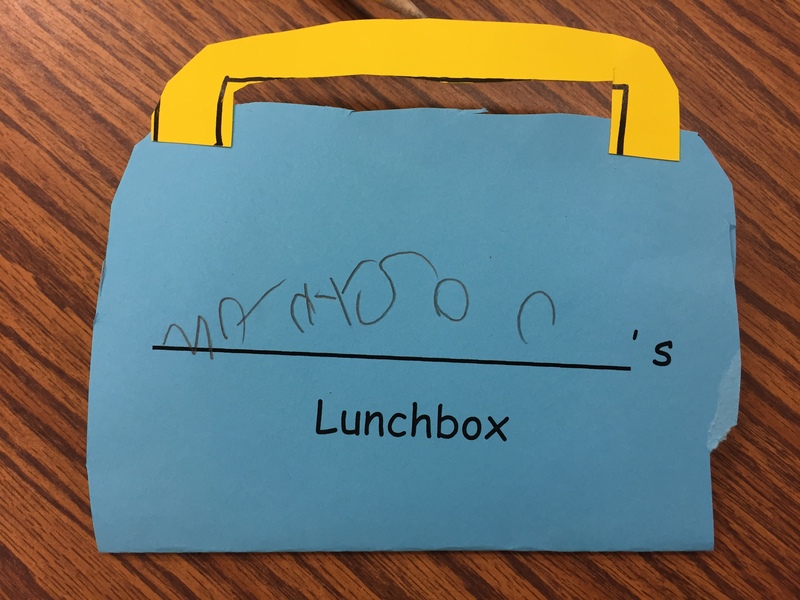 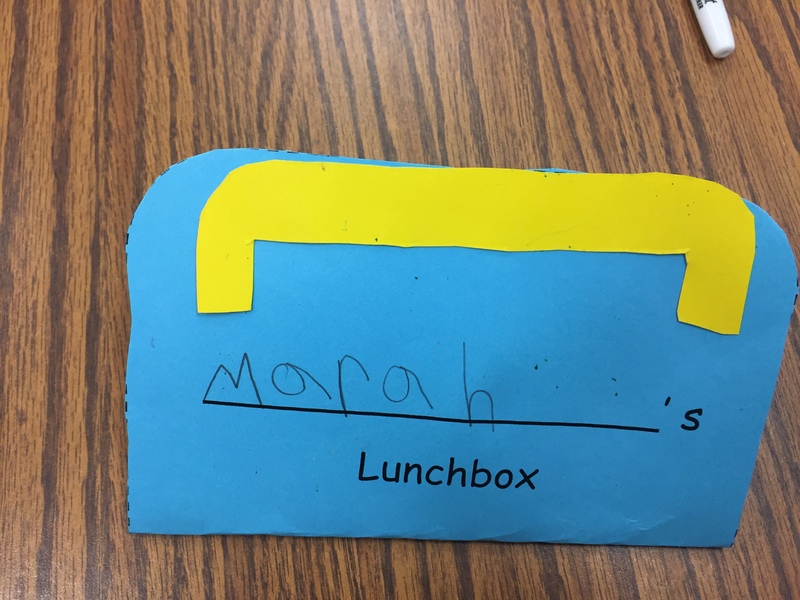 Then students made lunchboxes and filled those lunch boxes with various foods from all five groups. 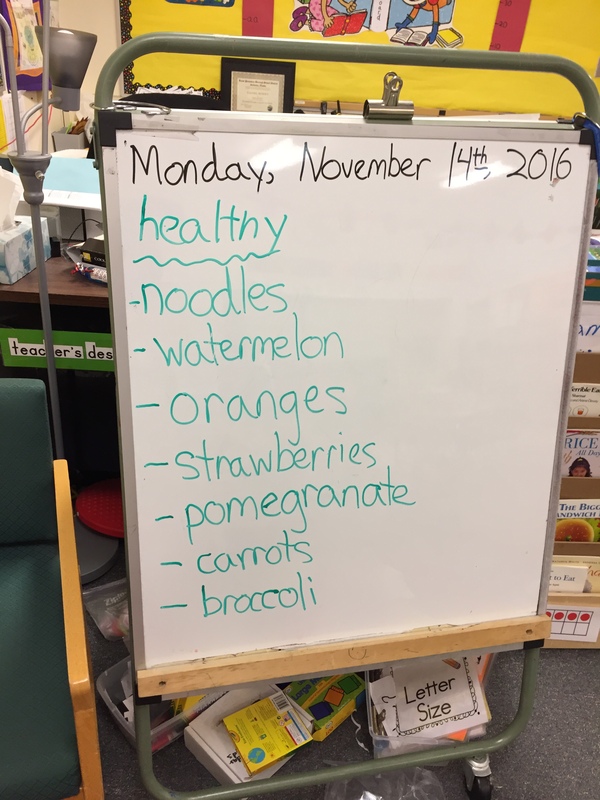 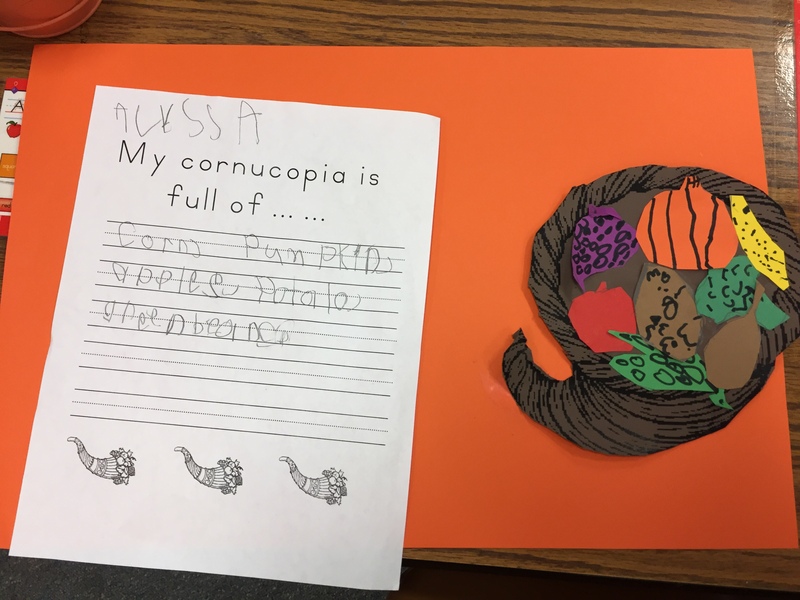 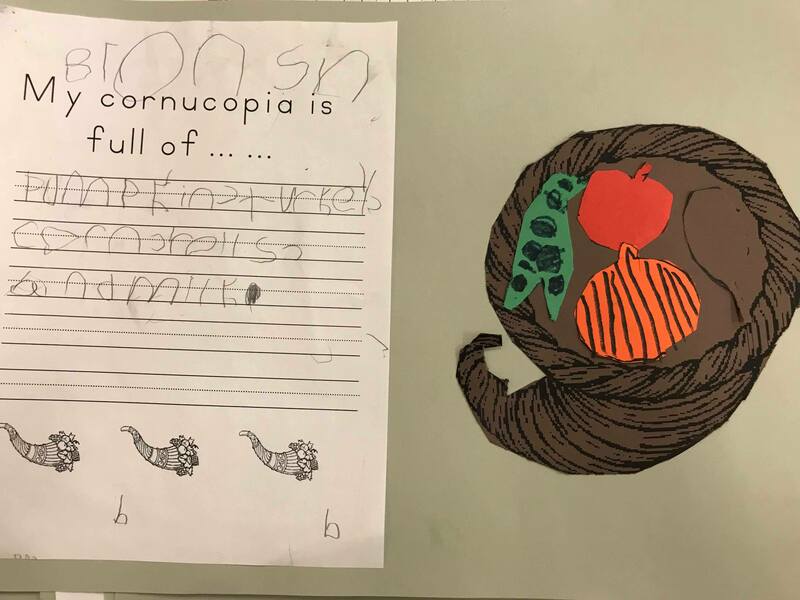 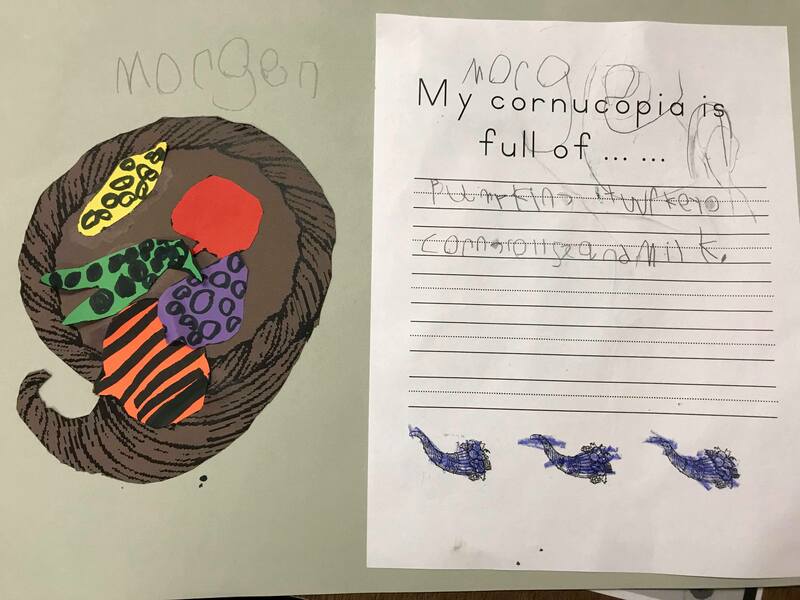 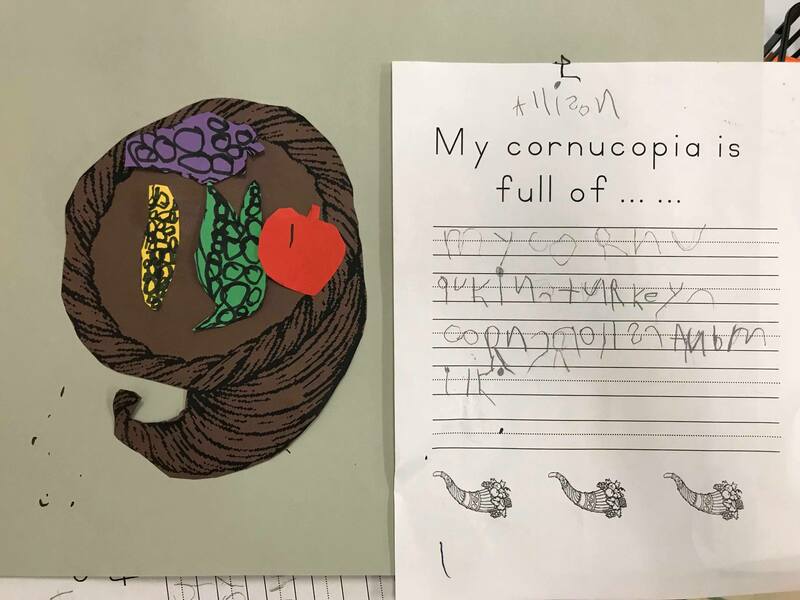 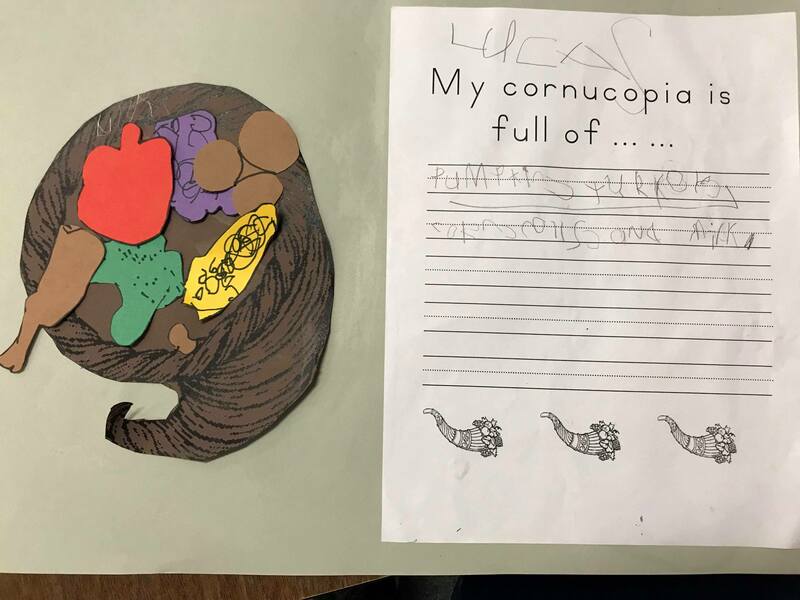 We finished up with our nutrition unit last week. 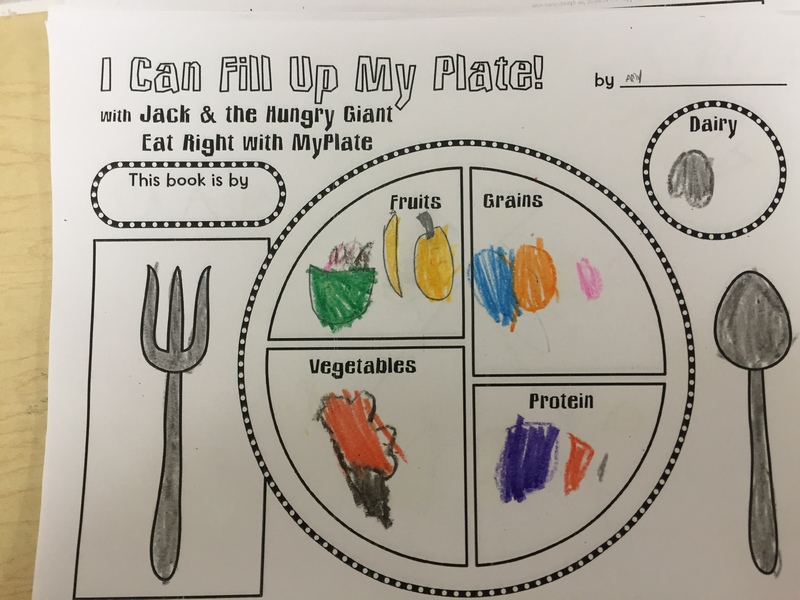 We read an online reading of the book “Jack and the Hungry Giant” on YouTube. 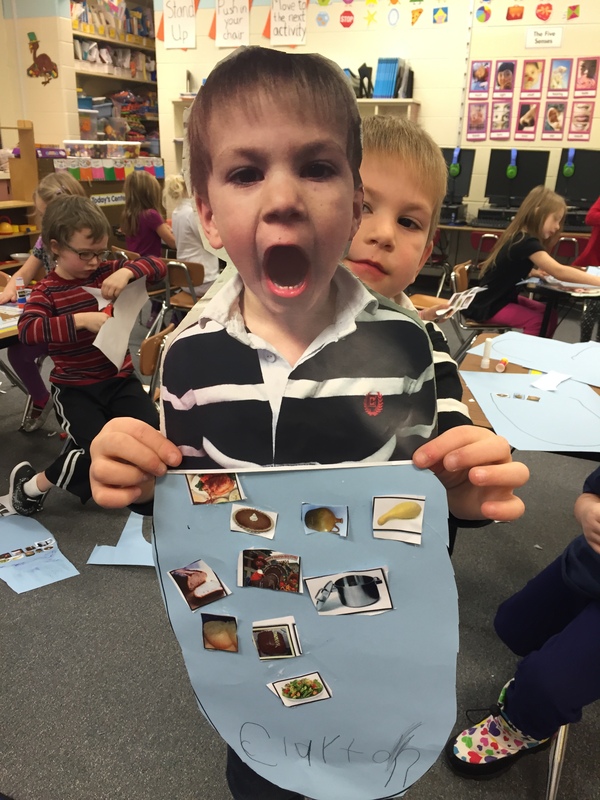 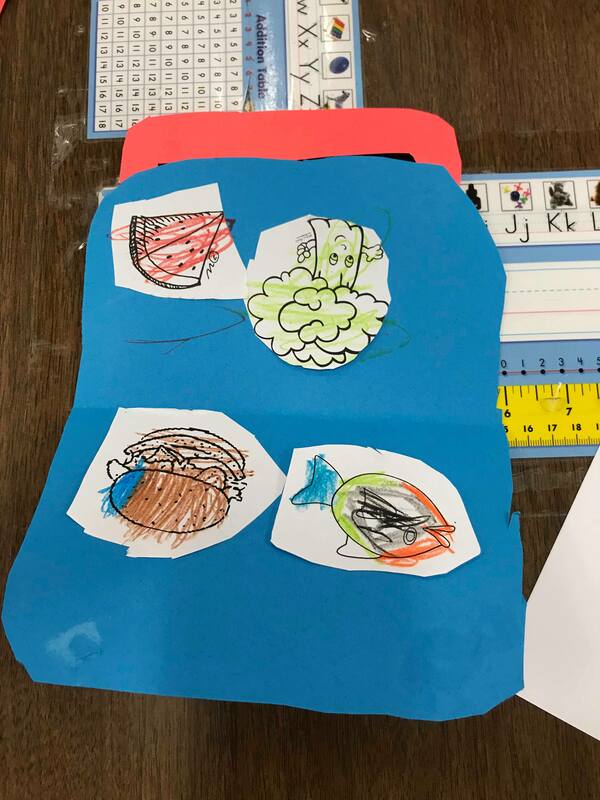 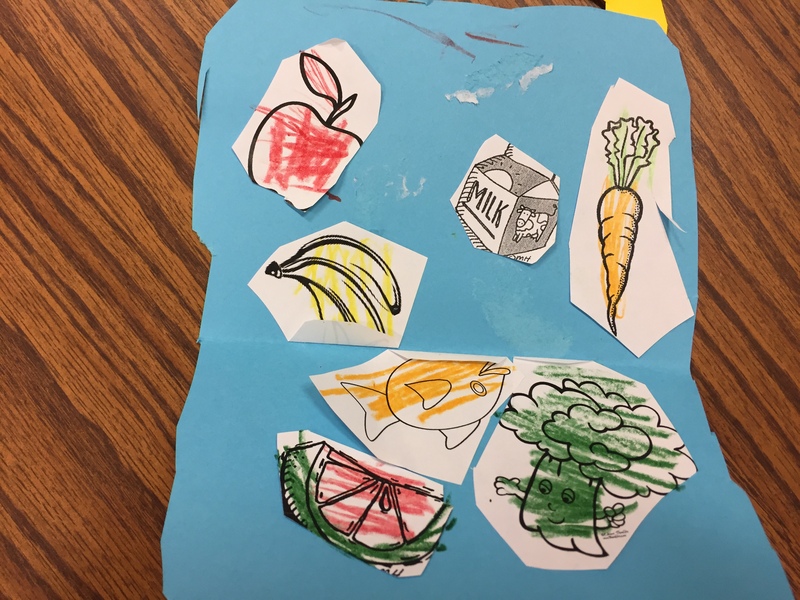 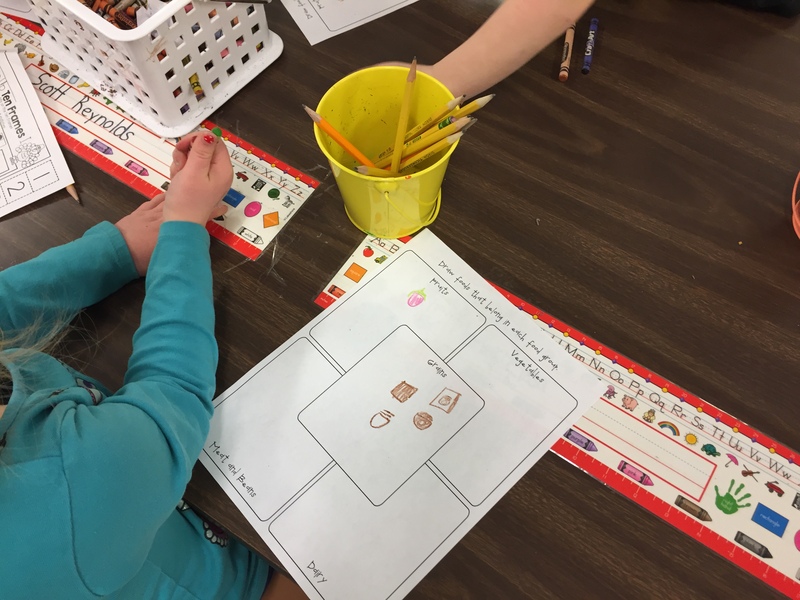 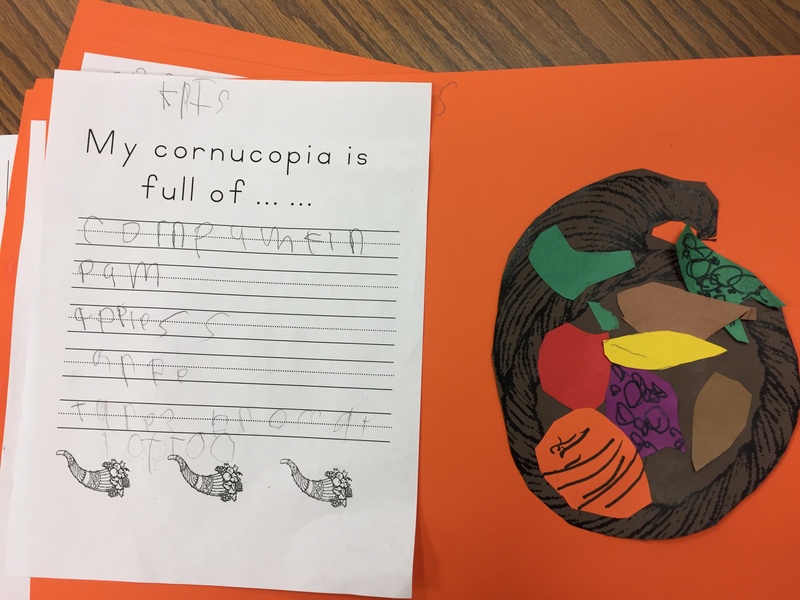 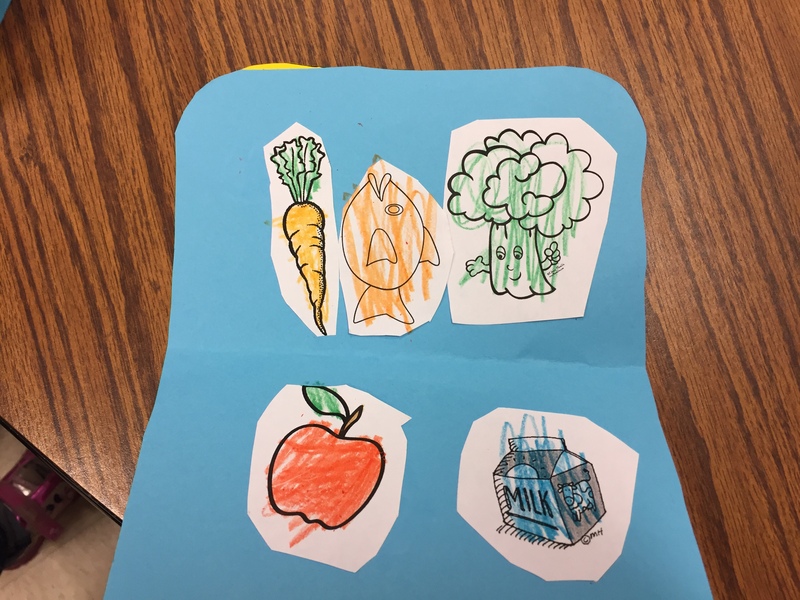 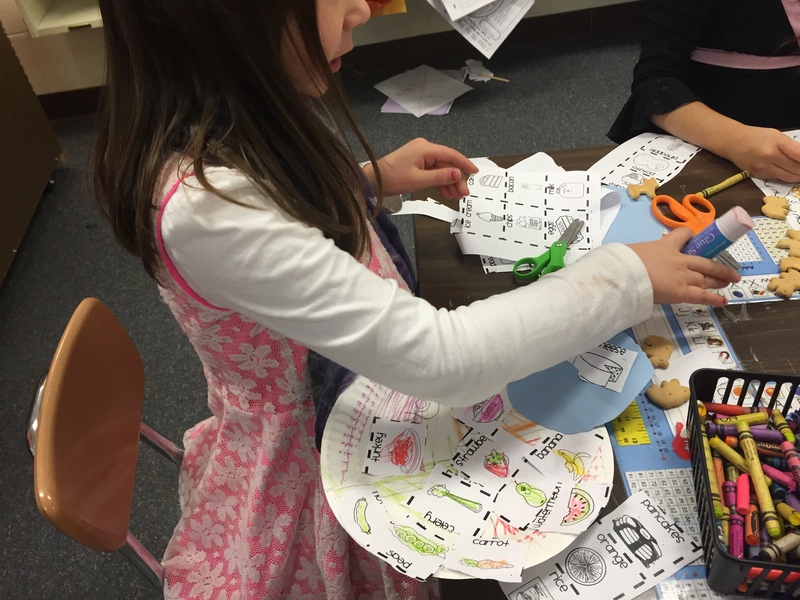 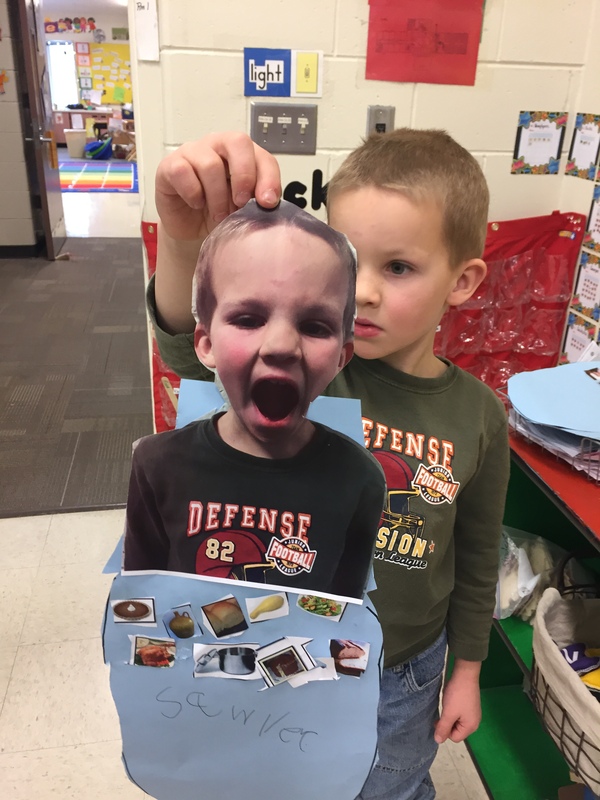 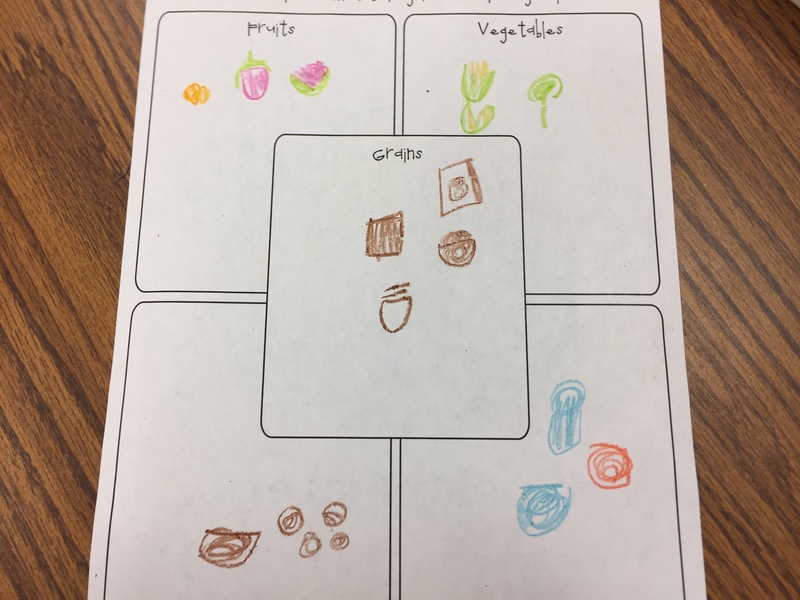 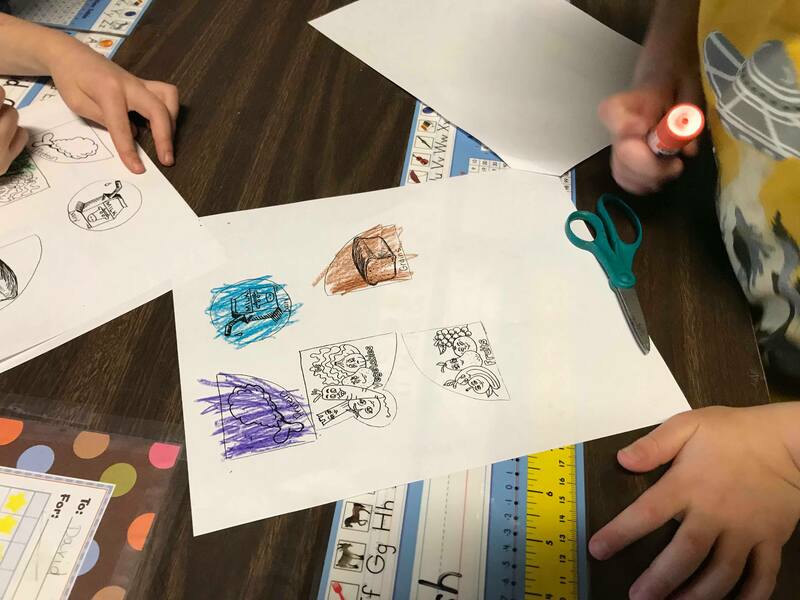 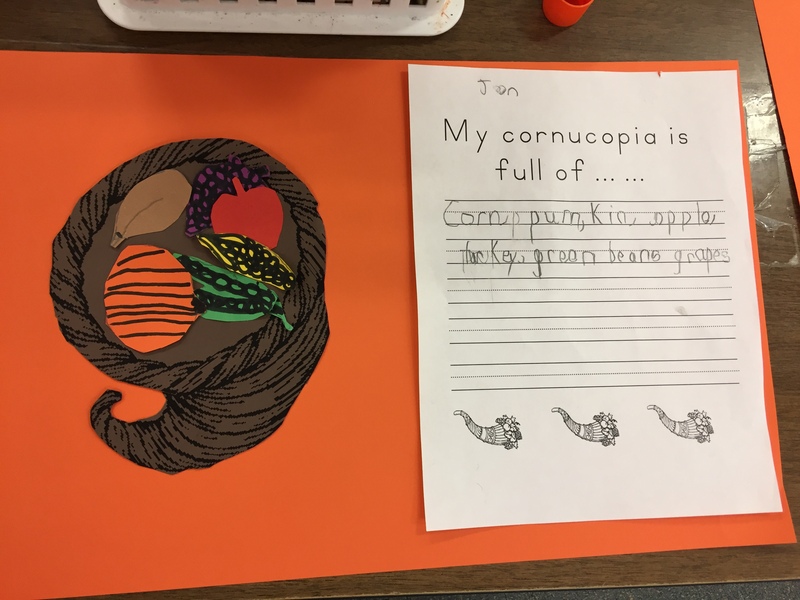 Afterwards, as an extension activity, students illustrated the foods that Jack and the giant picked for their meal. 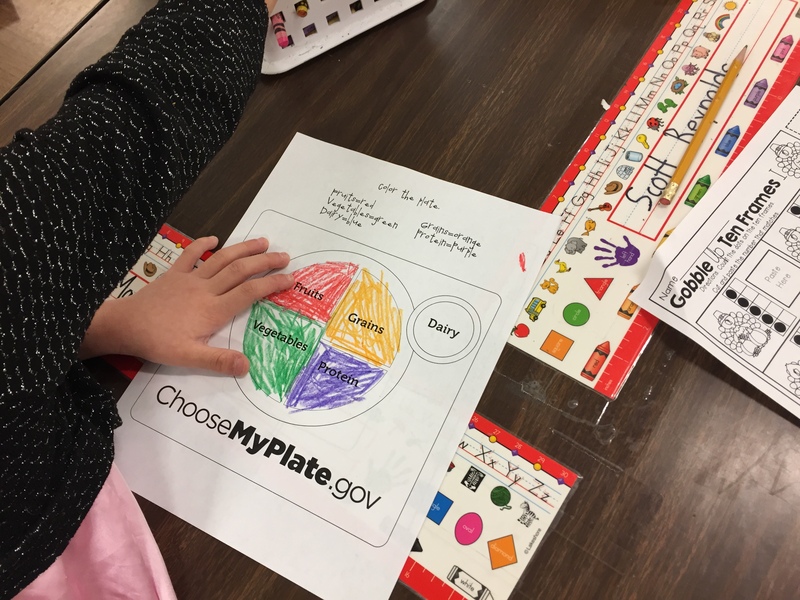 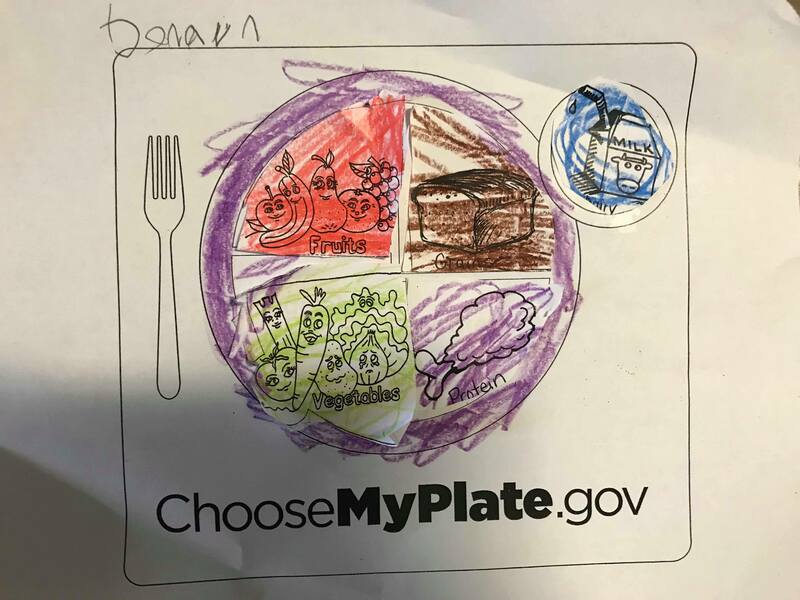 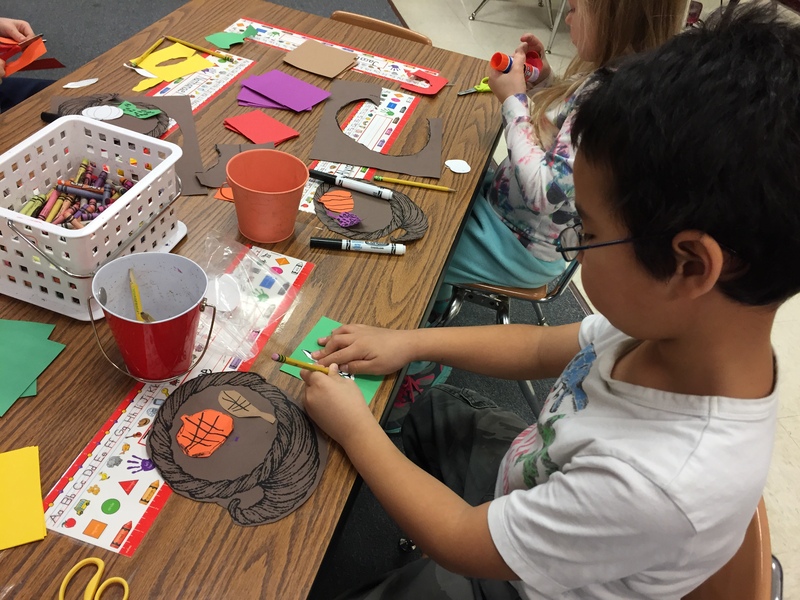 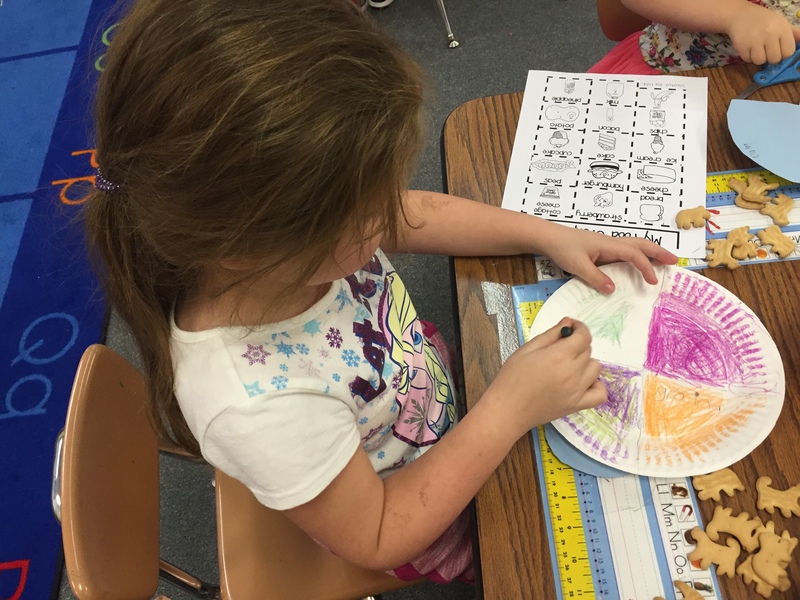 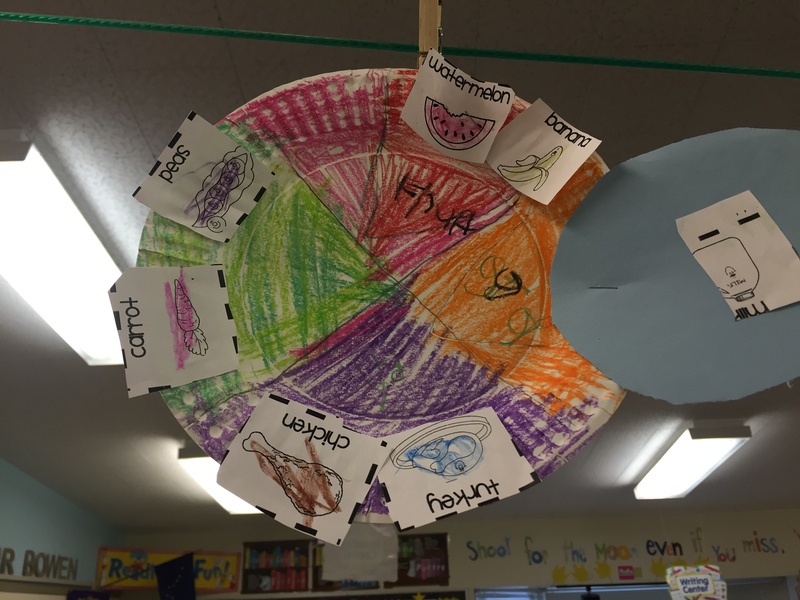 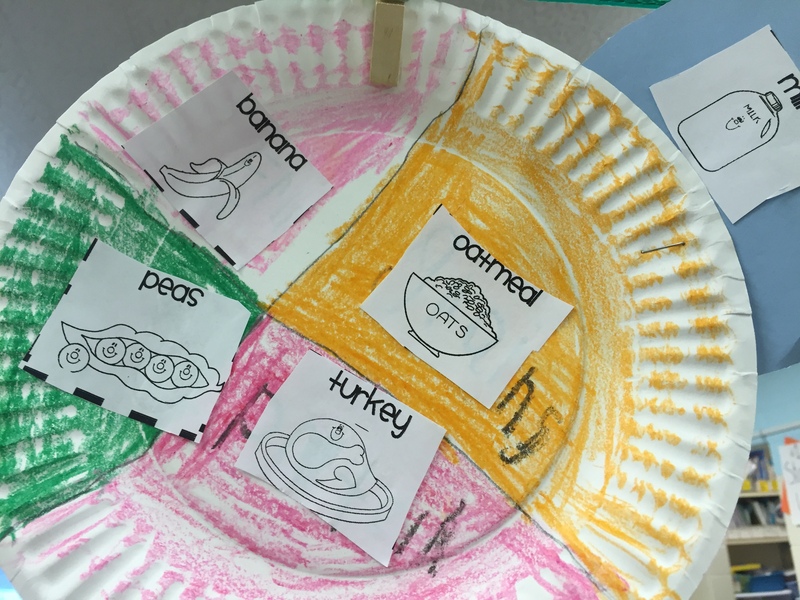 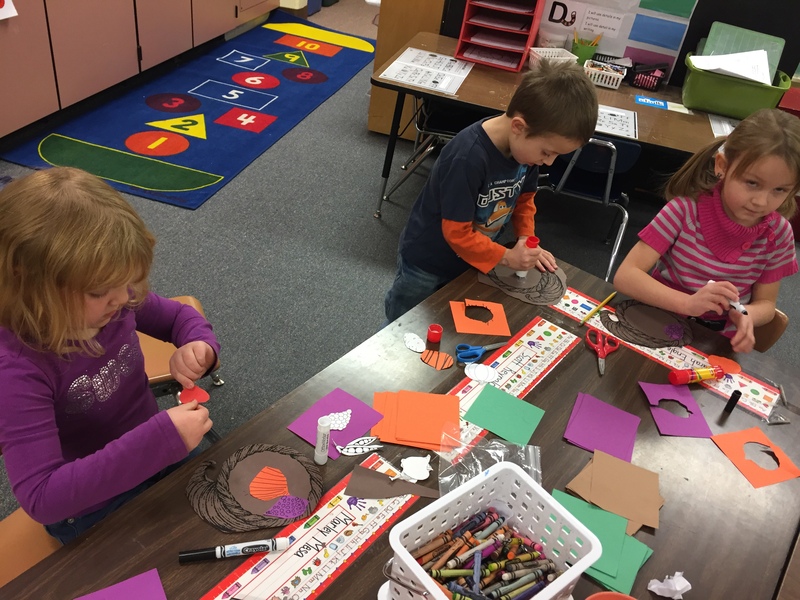 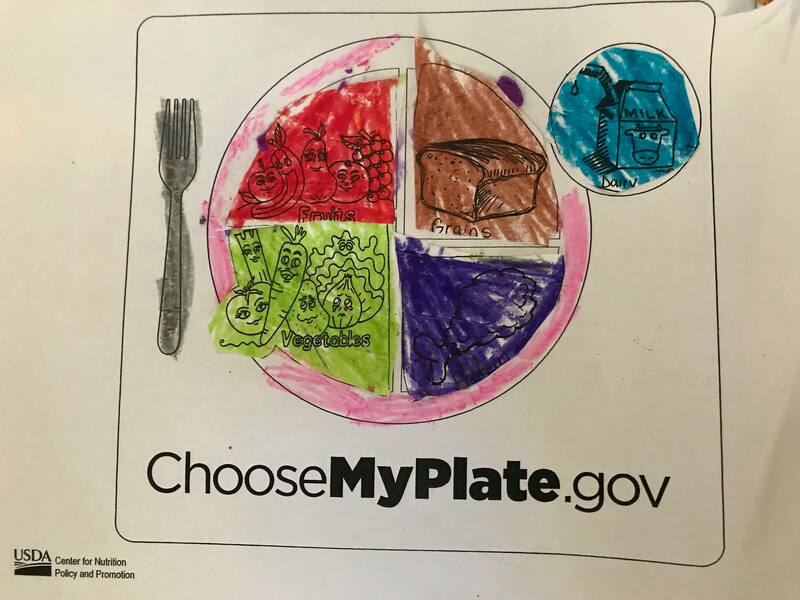 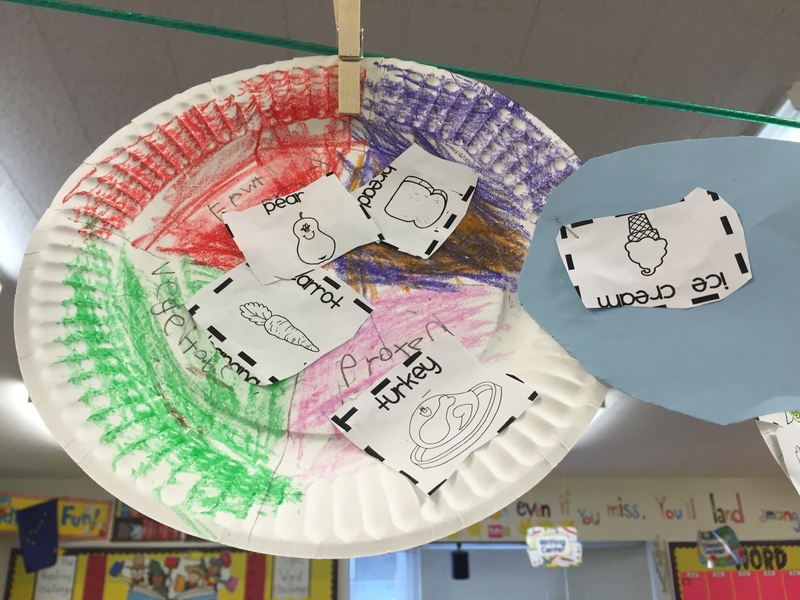 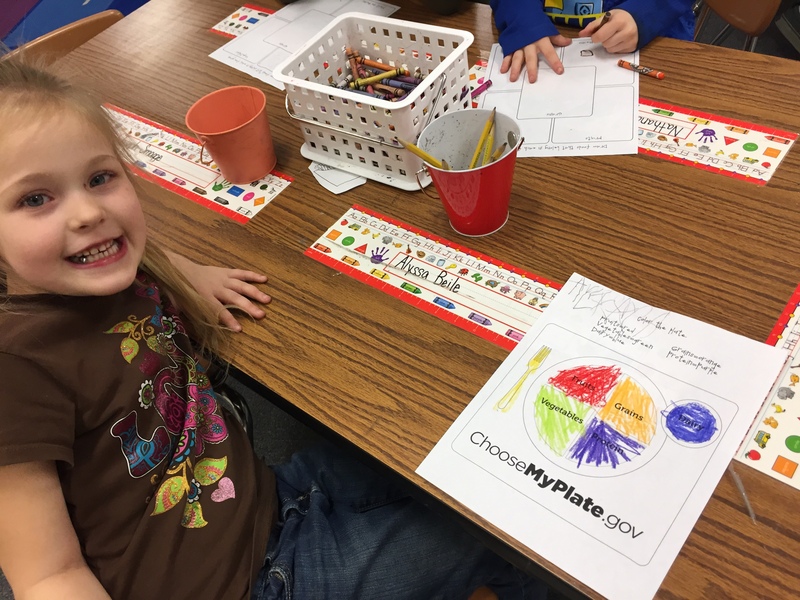 Finally students got to create healthy plates with foods that they would like. 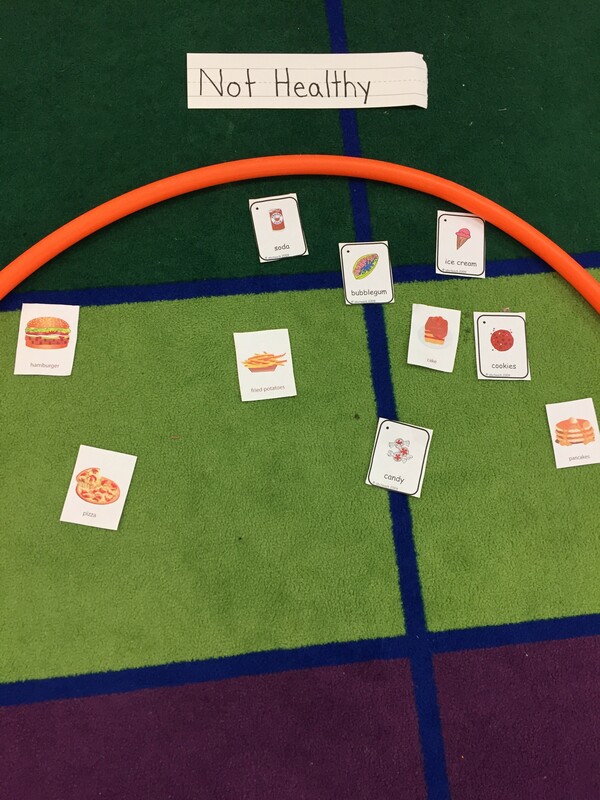 They had to pick foods from every food group.